Make it a picnic for two with this stylish pack. 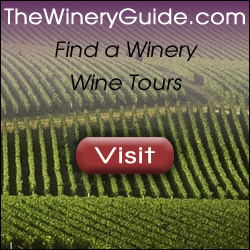 The Malibu Pack is a top-selling wine ad product – a perfect prize to give away at wine tastings and events – with your winery logo branded upon them – sell these great tote to your customers and guests. Ideal for outdoor concerts, outings, camping and much more – add this tasteful wine advertising product to the marketing for your wine business. The tote is fully insulated with ThermoGuard and will keep food/beverages at the perfect temperature for hours. 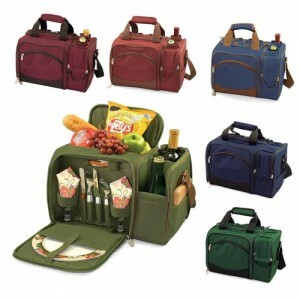 The picnic carry tote offers a very large compartment with a handy removable, and water proof lining. Carry two bottles of wine comfortably with a padded shoulder strap and also take along all of the other utensils and accessories you might need. 2 acrylic wine glasses, 2 9” melamine plates, 2 14” x 14” cotton napkins, 2 each stainless steel forks, knives, and spoons, a stainless steel, waiter style corkscrew, 6” x 6” wood cheese cutting board, and a stainless cheese knife with wooden handle.